When is a mango ripe? July is peak season for organic mangos. Woohoo! 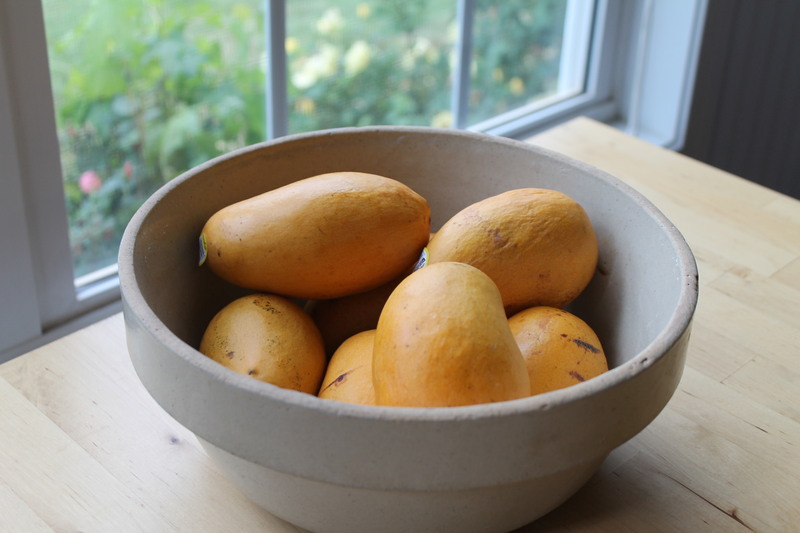 Originally from Florida, Tommy Atkins is the most common variety of mangos available. The fruit is mildly sweet, firm and very juicy! Wondering if your mango is ripe? A mango’s color does not indicate ripeness. 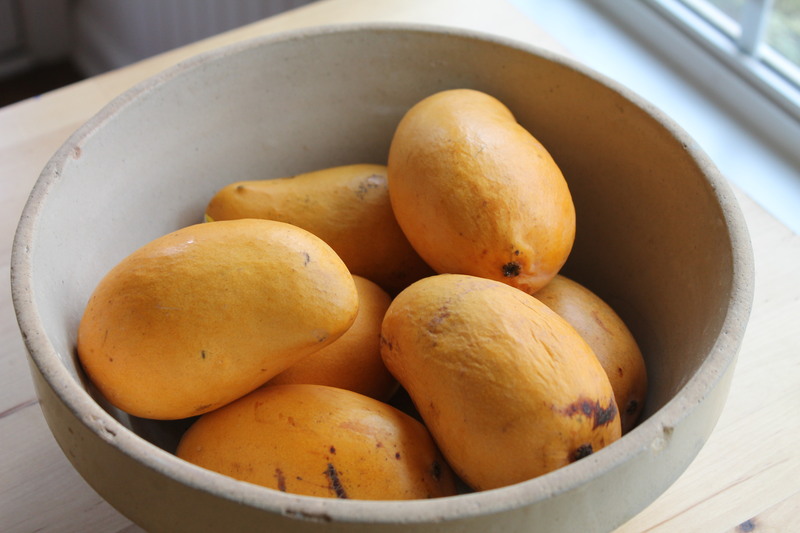 The smell and texture are the best indicator of a ripe mango. Take a sniff around the stem area and it will smell the way a mango taste. As they start to go bad, they will smell sour and fermented due to their very high sugar content. Leave them on the counter to ripen at room temperature .Gently squeeze the fruit. A ripe mango should still be firm but will give slightly. Check them daily and when they’re ripe, use them up within a few days or cut and freeze them.